Sheri offers you her exclusive online tools and information which enable you to start your search and to learn more about our Palm Springs resort lifestyle communities immediately and without obligation. How Working With Sheri Can Benefit You! If you're here looking at and then negotiating buying your desert home, remember that the Seller will have a real estate agent working directly for them. You should also have an experienced Palm Springs Realtor like Sheri and her team working for you, guiding you and looking out for your best interests. And the best part is that hiring Sheri and her team as a buyer, it is basically at no cost to you. In most circumstances our service fee is paid by the Seller from the proceeds of the sale. Not Your Average Realtors, Not Average Results! While the average Palm Springs Realtor succeeds in helping an average of only 12 people each year to buy or sell a home, Sheri and her small team of specialists completed over 150 Palm Springs area sales transactions during a recent 12 month period. This means that they visit hundreds of properties in dozens of Palm Springs area communities on a regular basis which can benefit you. Palm Springs Real Estate 101: Early development in the Coachella Valley was centered in the Palm Springs area and then spread eastward. In general you'll find most newer communities and homes in the La Quinta area which is forecast to be the upcoming center of the Valley. Discover more information here. How Important Is Location? : It’s possible to buy the right home in the Palm Springs area but in the wrong location. Similar or identical homes or condos can be valued differently based on their location. Find out about Palm Springs locations here. Canadian Buyer Information: U.S. real estate prices and prices in the Palm Springs area continue to offer great value when compared to just a few years ago. The buying opportunity here in the Palm Springs area has likely become a once in a lifetime opportunity for many Canadians. Find more information and a short video here. Choosing My Buyer's Agent: The smartest thing a buyer can do before they start looking at Palm Springs area homes for sale is to choose an agent that has a proven track record of helping buyers. Think of your buyer’s agent as part guide and part negotiator. Obtaining My Mortgage Here In The Desert: A good place to start when selecting a lender to finance a home or condo purchase in the Palm Springs area may be right here in the community. Working with a local mortgage lender offers several advantages over using a large national corporation. The Best Way For Me To Attend Open Houses: As a buyer, when you walk into a Palm Springs area open house and place an offer on the property one of two circumstances can arise. Find out more here. How To Buy A New Developer Home: Many buyers don’t realize that they can have their own Palm Springs area buyers agent help them find a new home and then doing the comparative pricing research before submitting an offer. Sheri and her team have helped dozens of people in new home communities in all price ranges and at no cost to them. 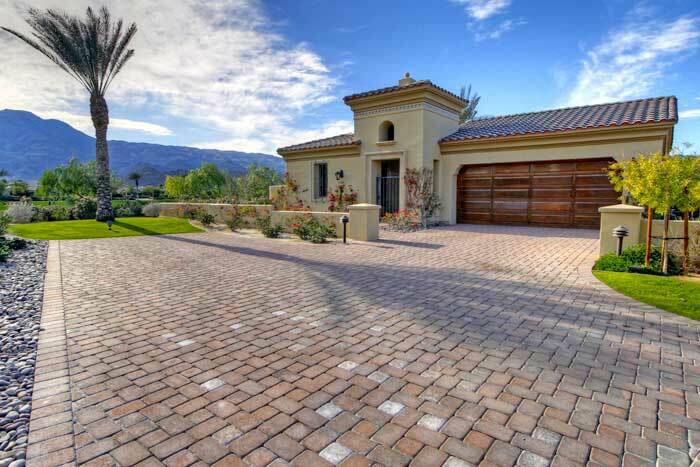 HOA's Explained: Many gated and even some non-gated developments in the Palm Springs area include an Home Owners Association or HOA. Home Owners’ Association monthly dues can vary widely from community to community depending on the amenities and services that are available to property owners. Insuring My Desert Home or Condo: Many Palm Springs area home and condo buyers choose to live in their new property on a part-time basis. Others consider their desert purchase more of a vacation property and rent it out when not using it personally. Either way, you’ll want to make sure you discuss your property’s potential use and/or non-use with your insurance agent. Discover why in this section. Renting My Desert Home Or Condo: If you’re considering renting out your Palm Springs area home or condo either short or long-term, there are some important insurance-related issues you should be aware of and plan for ahead of time. Sheri Dettman & Associates is associated with Luxury Homes by Keller Williams Realty, the largest franchised residential realty company in North America. Average Realtor Transactions Source: National Association of Realtors® June, 2013.